Black Friday and Cyber Monday may be over but the deals are still going strong during Cyber Week! Retailers have extended their sales past Cyber Monday to carry on the momentum for the rest of the week. You still have time to jump on many great deals at their Cyber Monday low prices. In fact, there are some popular items that have been restocked like the Vizio HDTV and the Stanley Fatmax portable jump starter. Be sure to see all the great Cyber Monday Deals now! 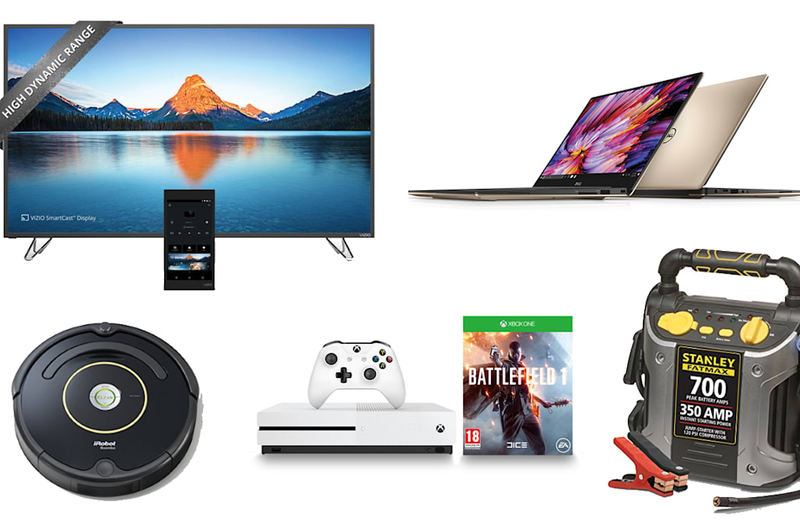 See all the Dell Doorbuster Computers, TVs, and Electronics deals as they go live. Kala Mahogany Ukelele Learn to Play Starter Kit for $59.99 (list price $84.99). Virtual reality was once only the subject of science fiction, but today you can actually make it a reality with the Oculus Rift. Grab this beautiful 4K TV for well under $1000. If someone you know really likes being on the cutting edge of technology, it doesn't get more cutting edge than a 3D printer. Perfect for taking your jams on the go with you to the beach, the park, the gym, or even for rocking out around the house. Thin, lightweight, beautiful design, and high performance. This new laptop from ASUS has it all. Need a great sound bar to go with your new TV? This smart thermostat learns the temperatures you like and programs itself in about a week. Pretty cool. Have a gamer in your life this holiday season? The new Xbox One S is the perfect gift!